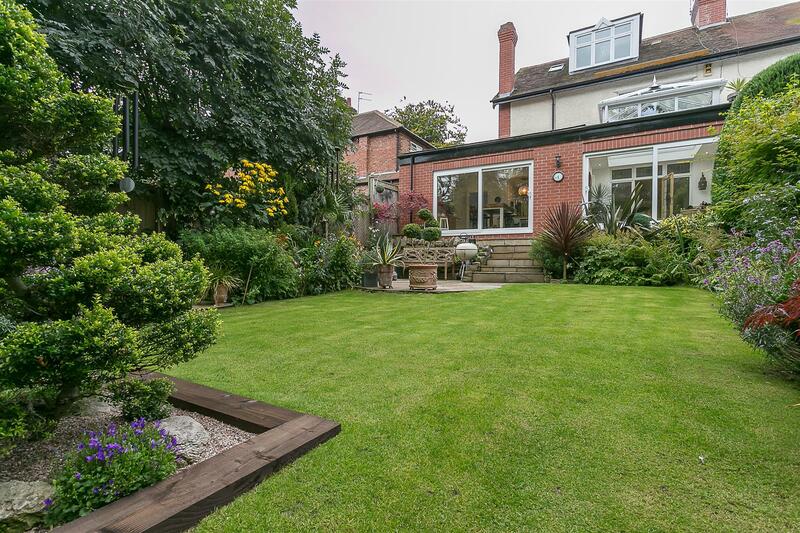 With generous manicured gardens and a wealth of period charm, a delightful extended 1920's semi detached family home well positioned on Glebe Avenue, Benton. 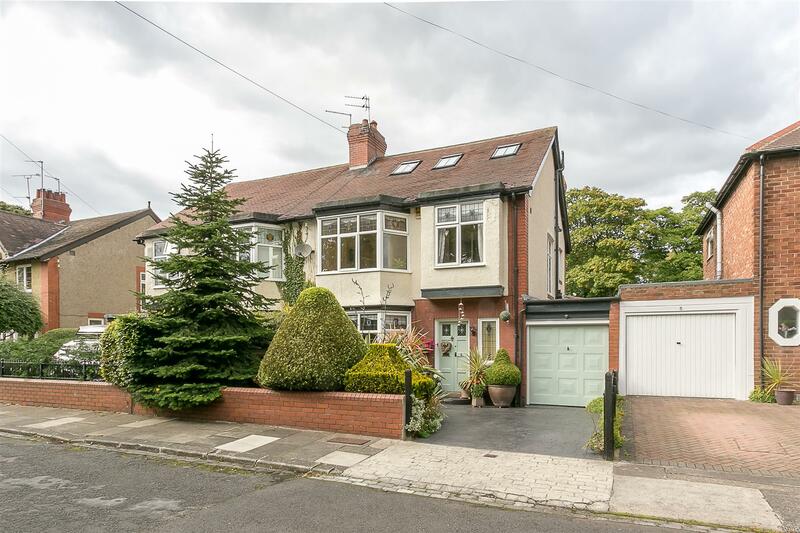 Situated close to Benton Metro Station, Glebe Avenue is ideally located within the heart of Benton s Conservation Area. Boasting close to 2,200 Sq ft the accommodation comprises: entrance lobby; entrance hall with ground floor WC, cloak cupboard and stairs to the first floor; lounge with walk-in bay and feature fireplace with original surround; an impressive open plan family/kitchen/diner measuring 22ft with wood burning stove, dining area, to the kitchen, granite work-surfaces and integrated appliances; sun/garden room with sliding doors onto garden and atrium; utility/laundry with door to integral garage/store. The first floor landing with original stained glass picture window gives access to three bedrooms, of which two are comfortable doubles and a family bathroom. To the extended second floor a delightful fourth bedroom with eaves storage, 'Velux' and 'Dorma' windows with views of the rear garden and a stylish re-fitted en-suite shower room. Externally, the delightful gardens are laid out over two distinct levels, laid mainly to lawn with mature planting and manicured trees providing decent privacy to the rear of the house. To the front a block-paved driveway provides off street parking and also includes a planted area and well manicured greenery. 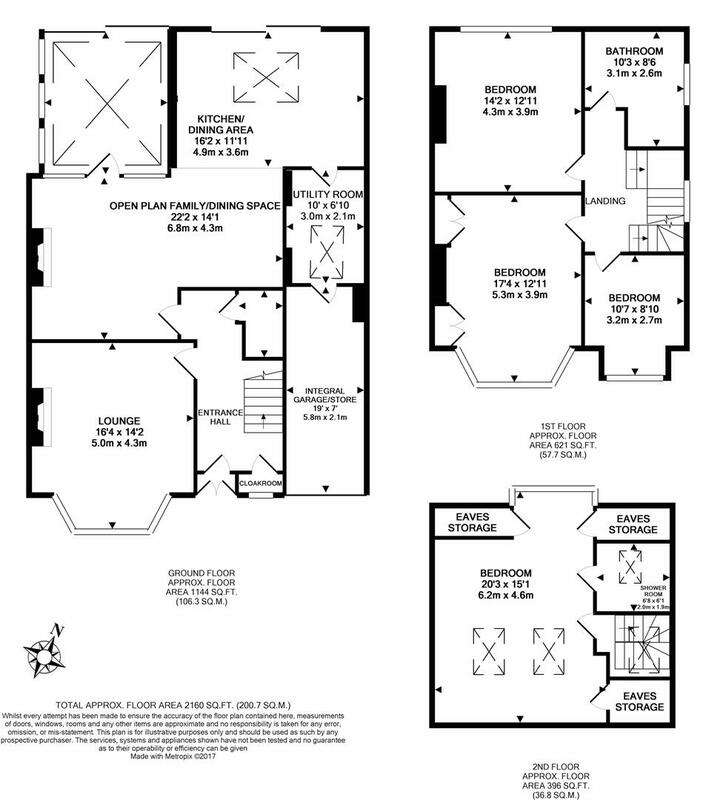 With tall ceilings and polished original flooring to the ground floor. 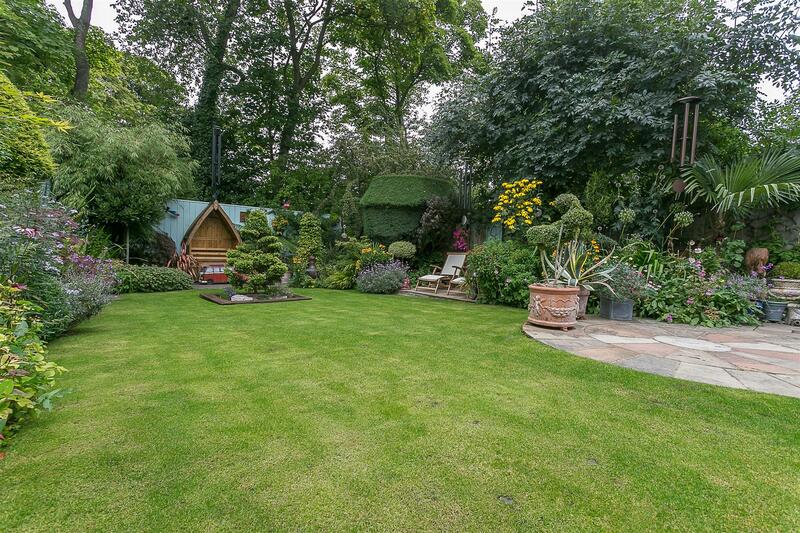 Thoughtfully extended and retaining many fine features associated with the period, an early viewing is an absolute must!